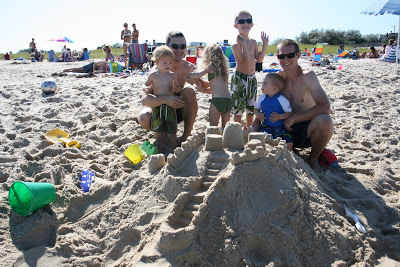 We discovered Cape Cod this past holiday weekend and had a fabulous time. We are in love and vow to make a summer trip to the beautiful beach country every year. An item to bring is a bike, and it’s the best way to travel around the little towns. 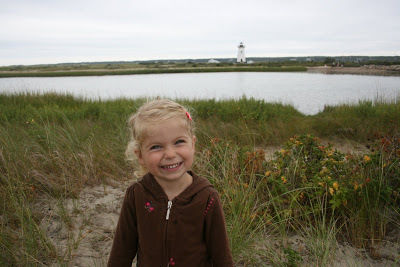 One day we took our bikes and a kid bike trailer and boarded the ferry to the island of Martha’s Vineyard. It’s was so fun riding our bikes (eventhough we got rained on) and a pleasant way to take in the beauty of the island. Very picturesque. 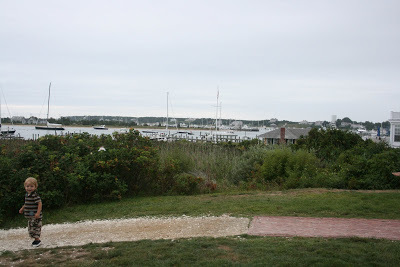 We especially loved the town of Edgartown with it’s picture-book harbor, waterfront and white Revival houses. 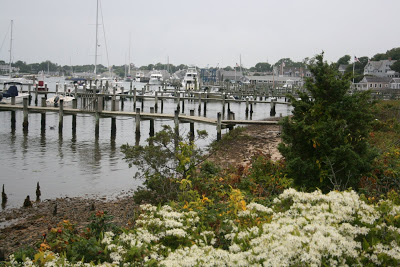 Actually all the towns in Cape Cod are very charming. 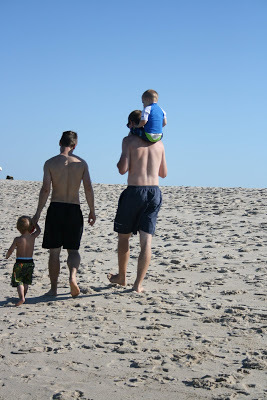 Another day we met up with Shayna and family and enjoyed Chatham’s amazing beach. Breathtaking and it went on for miles. 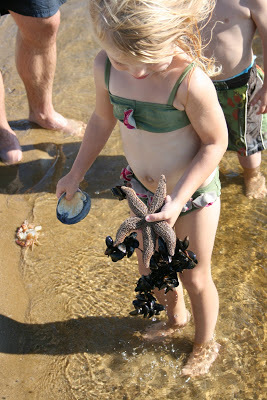 We saw seals swimming in the water, and Seth found a starfish and sea sponge. We definitely want to visit this beach again and explore some more. 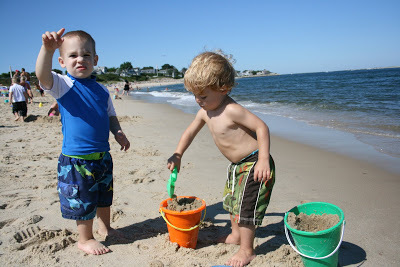 The last day was spent in Hyannis enjoying again another day at the beach–building sand castles and looking for sea shells. 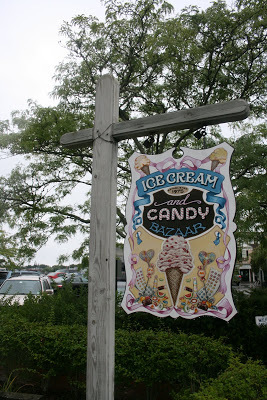 Every day we made a stop at each town’s local ice cream shop for a homemade treat. And on the way home I bought a box of homemade salt water taffy. That all sounds so nice! What an awesome sand castle!! What a perfect weekend! Seriously beautiful. That sounds so great. I’m glad you guys had a good weekend. darleen – i want to see pictures of you and your baby bump! hand your camera to your hubby next time! (wink!) oh – and i’m SOO sorry for spilling the beans on breaking dawn. i thought for SURE i was the last one to read it! oops! Seeing the pictures, I now really want to visit. Looks like a great weekend. that looks like a nice and peaceful weekend. I’m glad to hear that you were on vacation and not in the hospital. This is somewhere I’ve always wanted to visit — and now even more! It looks like a wonderful place to be. This looks wonderful Darleen! What a fabulous trip! Oh- back during my years as a flight attendant, my hubby and I took a weekend there, and we spent most of our time in Chattam. 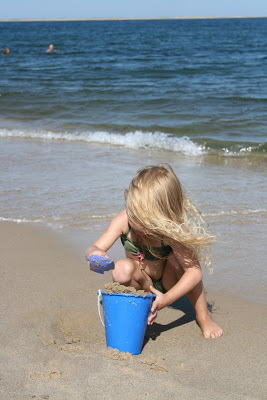 We loved it- pretty beaches and so quaint!